July 4th is upon us and so once again it’s time to celebrate our freedom and liberty. And celebrating this occasion by getting together and sharing a delicious meal with great company is the best celebration of all. Of course, the Fourth of July is also known as Independence Day for America. It's been that way since the signing of the Declaration of Independence in 1776. 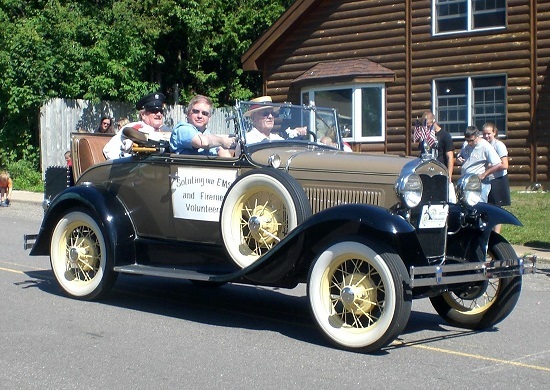 Hometown parades and festivals are always popular. And I'll share a "secret." 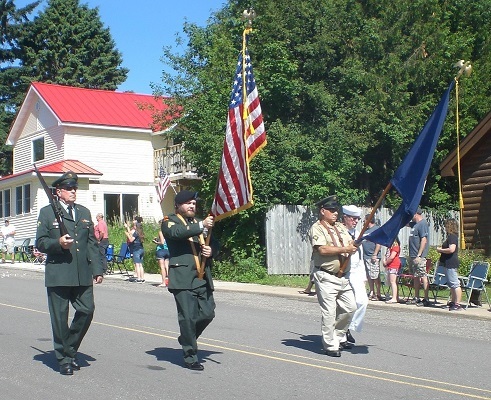 One of the best parades and July 4th celebrations I have ever seen in the USA takes place in an almost defunct town in the Upper Peninsula of Michigan called Michigamme. The parade is not "grand" or large as many people might choose to measure a parade. It can't be. Once home to thousands of people, this little village now has only about 250 year-long residents. But I believe each and every man, woman and child takes part in their hometown parade. It is this fact that makes this parade so wonderful. 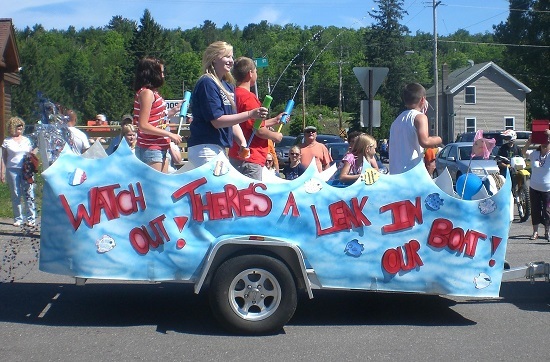 Everyone marches down the main street in town, or rides in an old, mint-condition car, or on a homemade float or a fire truck or on their decorated bicycle. Everyone is happy, waving flags and enjoying the sounds and sights. Gathering the candy thrown from the homemade floats is a favorite with the kids. So if everyone participates in the parade, who is left to watch? I was fascinated to learn that people from many other Michigan towns come to watch this particular parade. And the hundreds of people who once lived in the town return every July to maintain their connection to this special place. The character of the event has universal appeal. Such a parade demonstrates what people throughout America remember and appreciate - the sense of community. That very special characteristic is alive and well in this tiny American town. Many people recognize and value what Michigamme still has. It is truly wonderful. 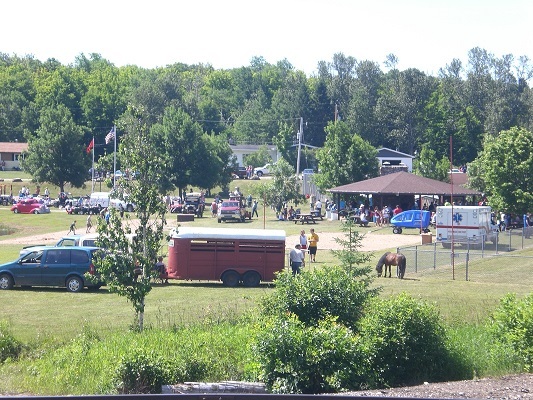 Individual outdoor barbecues get "fired-up," on the Fourth of July but the folks of Michigamme also throw a community cookout on the shores of the lake their town is named for. Hundreds and hundreds of people attend to eat, listen to music, play games and socialize. True Americana! Of course, many people cannot attend this party and may not have access to one like it, so they celebrate with their own family and friends. July 4th In True America! Barbecues generally involve hamburgers and hot dogs (Americans will consume about 153 million hot dogs on July 4th! ), grilled corn-on-the-cob, potato salad, potato chips or tortilla chips and salsas. Put out a vegetable tray and some watermelon for starters and you can serve any of these entrees with some really excellent baked beans and / or a delicious salad. But your choices are limitless. How about preparing some Barbecue Baby Back Ribs? Or some fantastic Fried Chicken? In Michigamme (Upper Peninsula of Michigan), the pasty! Try it! In the Pacific Northwest, where I live, fresh King or Sockeye salmon or Halibut - Santa Fe style are very popular entrees at this time of the year. Beverages for these events generally include a couple of 2 - liter bottles of soda, chilled with ice and served in plastic cups (and don't forget - use paper plates, heavy duty ones are best). Alcoholic beverages include beer and wine and I sometimes ask family to bring their own favorite beverage. If cocktails are desired, I am not bashful about following the "BYOB" request with such beverages. You can access drink recipes by clicking on that link. For a dessert, try the delicious and visually pleasing and appropriate "Red, White and Blue Pie" or the "Red, White and Blue Parfait." Apple Crisp and Ice Cream are also a great American tradition for dessert on July 4th. Whatever you choose to prepare for your 4th of July party, keep the menu simple and ask the guests to prepare side dishes to lessen the load and add creativity. And if they need ideas, refer them to Real Restaurant Recipes. Have a wonderful July 4th celebration. Enjoy the food and the company of those you share it with! Did you know? Lots of recipes to check out! But for those of you who have read several of the pages on this website you may have rightly concluded something about the author - me: I love God, my family, friends, country and recipes that work. So I play several songs frequently during July 4th get-togethers.